If you're looking for great family fun, a nice romantic evening with your special someone, an exciting time out with your friends or just a good place to shop and hang out, take a look at this! You must visit The Forks in Winnipeg where there are so many exciting things to do, awesome sites to see and good times waiting for all. 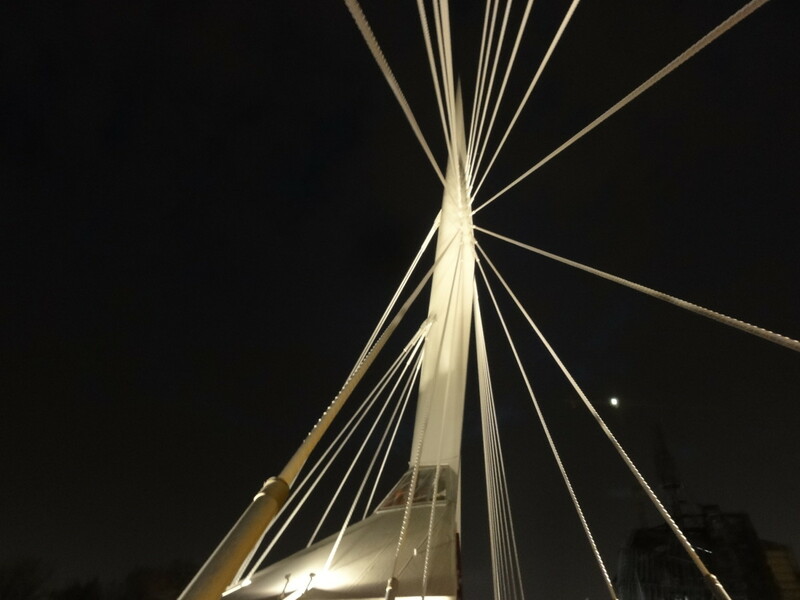 The Forks in Winnipeg has been around for centuries but in its earliest form, it served as a meeting place for the aboriginal people who lived there and later on for the early settlers of the Red River valley. 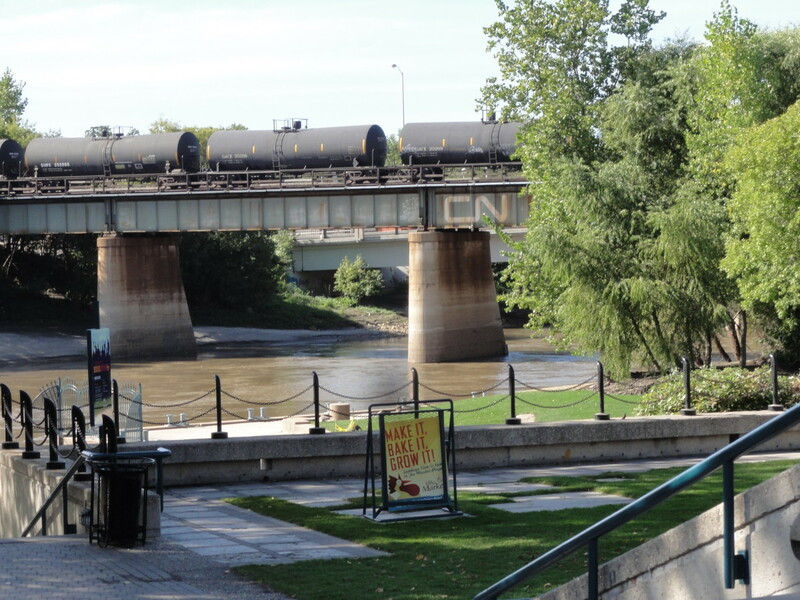 The Forks is where the Assiniboine River meets the Red River, hence the name - The Forks. 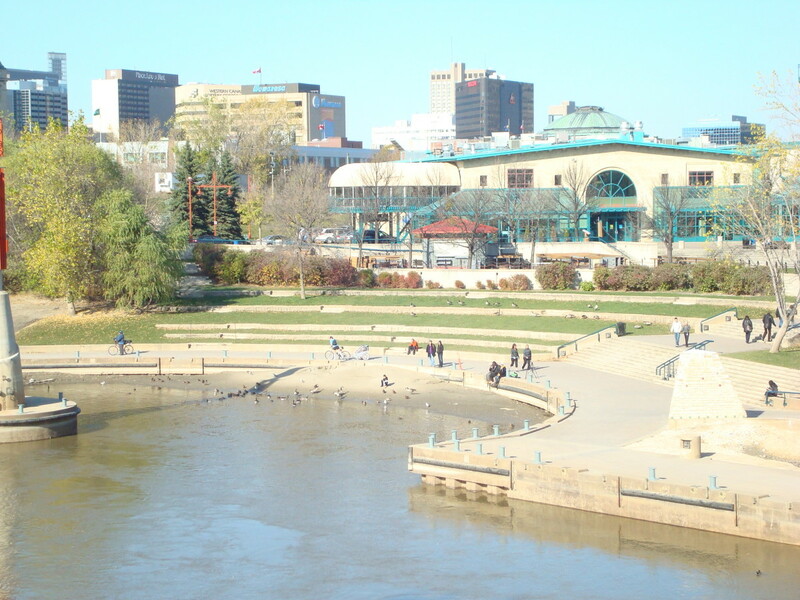 Today, The Forks has evolved into a mecca tourist destination but also remains a favorite place for Winnipegers to get together for a host of activities. There is something special for everyone in the family. 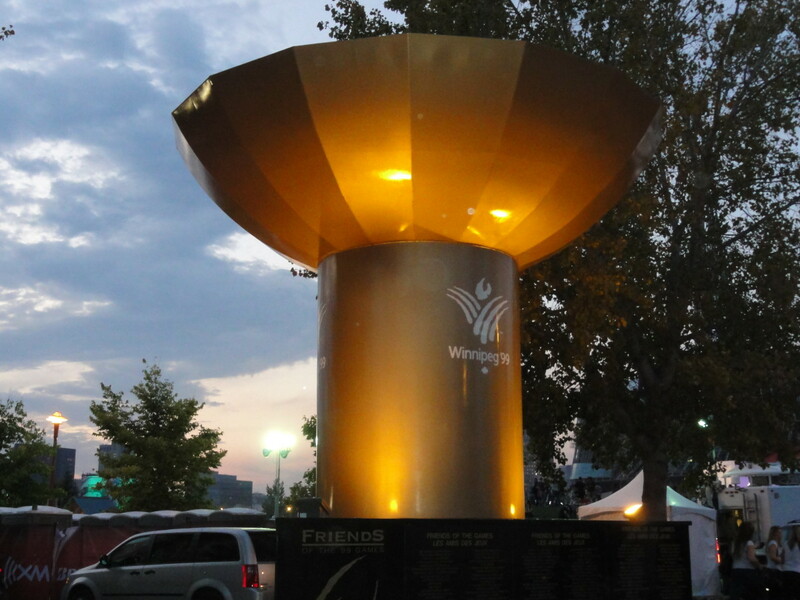 Situated in the Heart of Winnipeg, The Forks is the center point for all of the great celebrations held in Winnipeg. 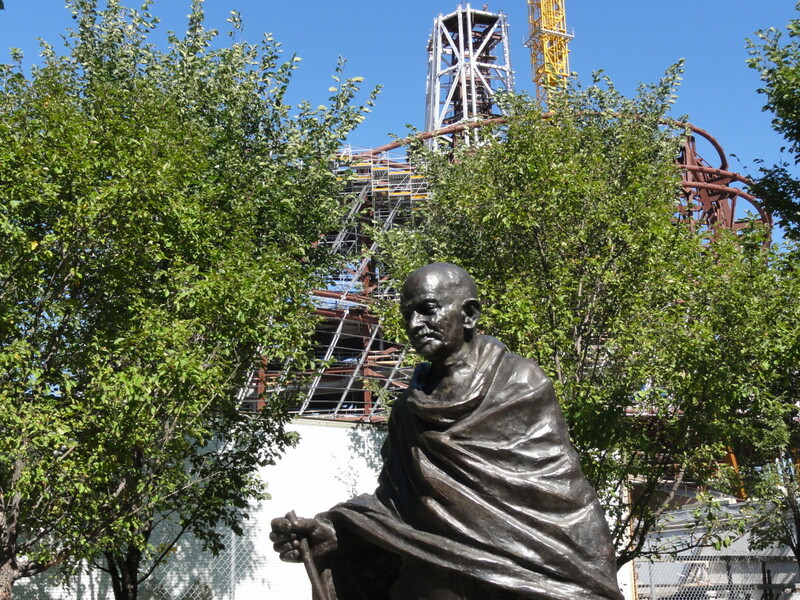 Some of the many great attractions you'll find when you visit The Forks In Winnipeg are The Children's Museum, Manitoba Theatre For Young People, Scotia Bank Stage in Festival Park, Forks Market, Plaza at the Forks, Johnson Terminal, Oodena Circle of Celebration, Inn At The Forks, Forks Market Plaza, and of course the new Canadian Museum For Human Rights. 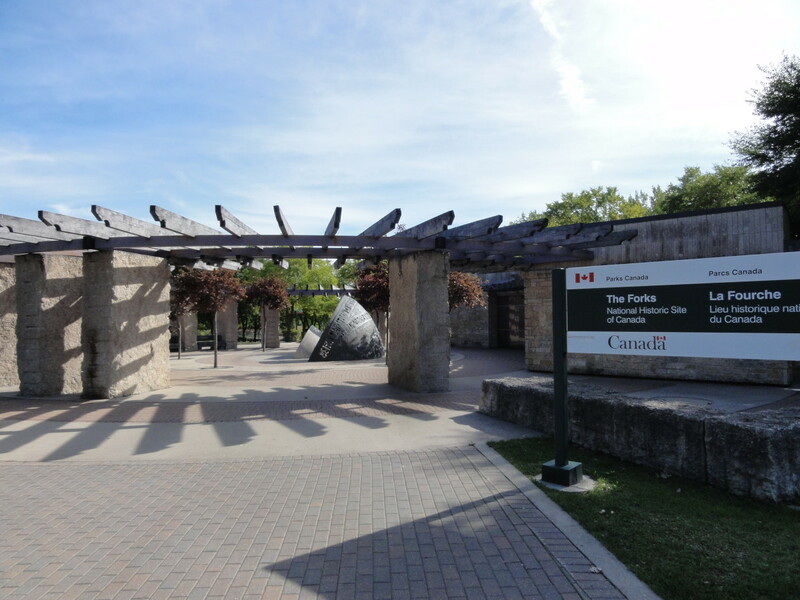 Visit the Forks in Winnipeg today and you will soon be drawn back to this one of a kind destination centre many times over. The Forks in Winnipeg is where you want to be! 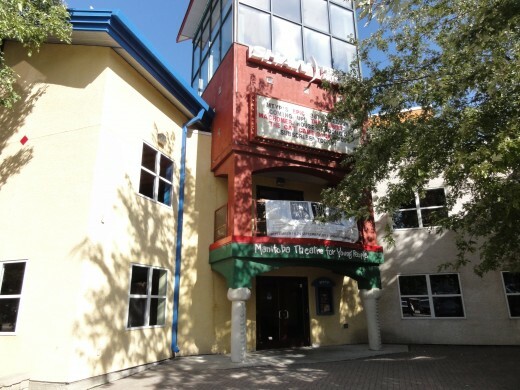 The Children's Museum has recently undergone extensive renovation and is now host to twelve amazing galleries sure to get your kids attention. Included inside the Children's Museum is an Authentic 1952 diesel locomotive and passenger car which you can climb right into the driver seat and explore the engine and galley. Other exciting hands on fun stations include a Giant Elusion Tunnel, Splash Lab, and a five story tall Lasagna Lookout, among other creative learning zones. 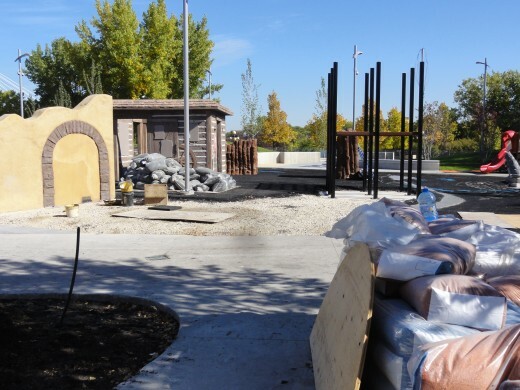 Also include is a toddler exclusive fun and play safe area. Your kids will love The Children's Museum! 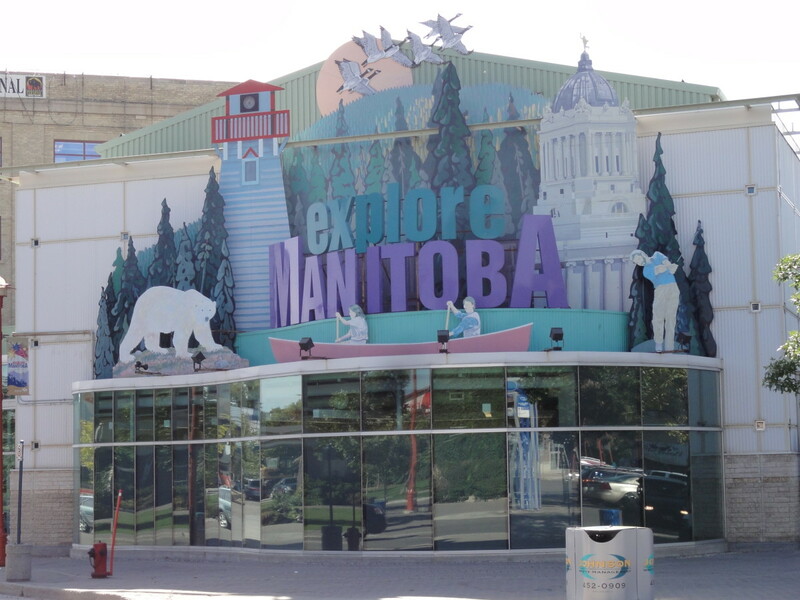 Here at the Forks in Winnipeg, you will also find The Manitoba Theatre For Young People (MYTP). 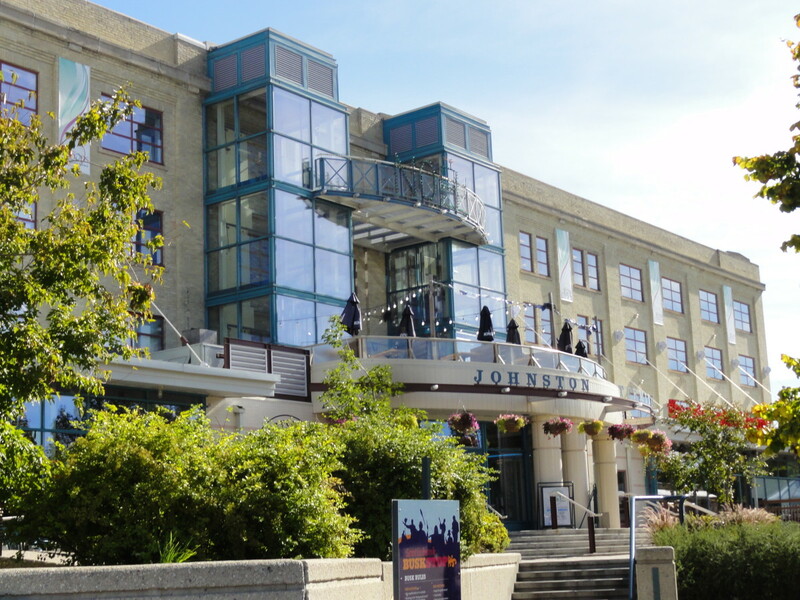 Also known as The CanWest Performing Arts Centre, this nationally acclaimed professional theatre company is soley dedicated to live theatre for young audiences. The theatre holds classes in all aspects of theatre production and is geared towards teaching children the art of live theatre. The MYTP packs every season with exciting live theatre productions for the whole family! 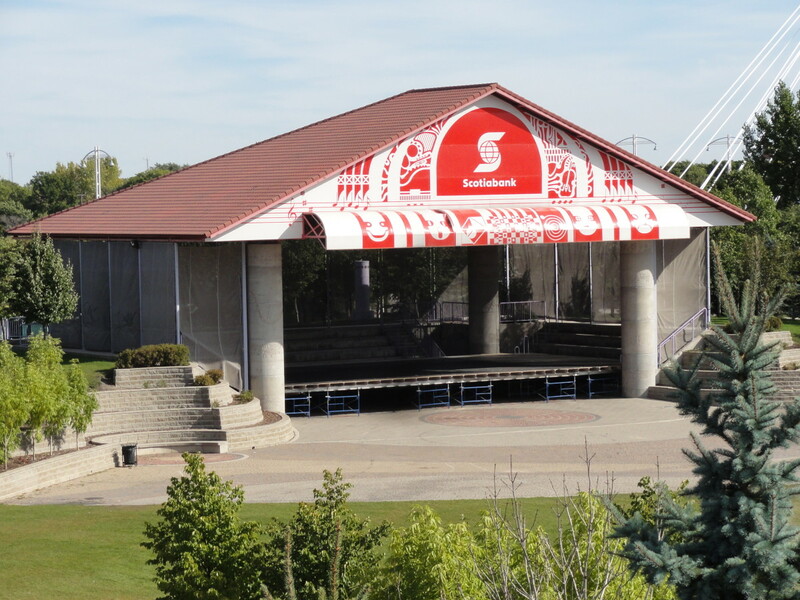 The Scotia Bank Stage in Festival Park at the Forks continues to be the epicentre for many of Winnipegs great celebrations and festivals. 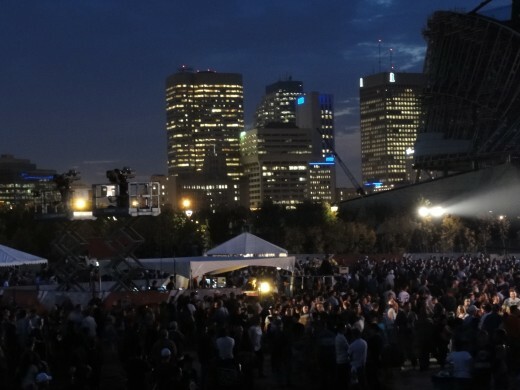 Everything from Canada Day Celebrations to the kickoff of the annual Folklorama festivities and more recently the return of the Winnipeg Jets, the party always gets under way at the Scotia Bank Stage where live bands perform and the entertainment begins. 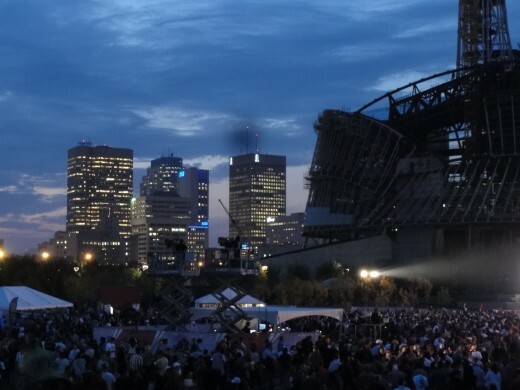 Tens of thousands of people enjoy the many festivities every year put on at the Scotia Bank Stage. 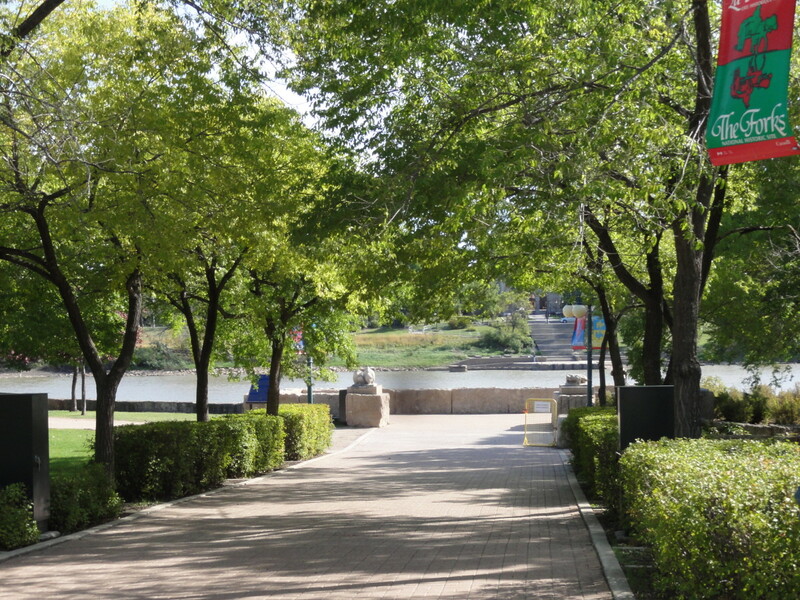 Festival Park is a new pathway running through the Forks connecting old St. Boniface through the Esplanade Riel Bridge to downtown Winnipeg. 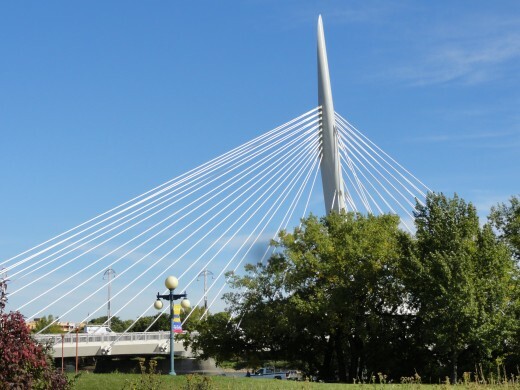 The Esplanade Riel Bridge is a pedestrian only pathway which includes a Salisbury restaurant and overlooks the middle or the Red River - an amazing view for Winnipegers and tourists! The Forks Market was originally home to two railway stable car shop building decades ago. 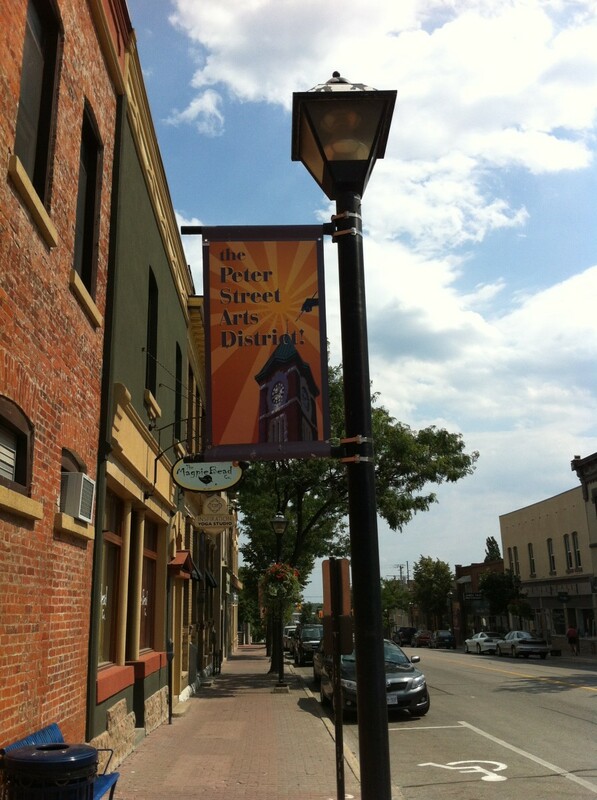 The buildings were renovated, enclosed and adjoing by bridges inside to form the new Forks Market. The Forks Market has everything from exotic shops and boutiques to fresh market produce, home style bakeries, fresh meat and fish merchants and fine wine stores. There are also numerous coffee shops, and restaurants to please every palate. From fine dining to a night outside on the patio bar, Greek food or Italian, donuts or hamburgers, there is food for everyone and every occasion. Contained within the two story complex, there is also an abundance of arts, crafts and other creative works from as many as 300 local and Canadian artists. There is no end of shopping possibilities at The Forks Market in Winnipeg. 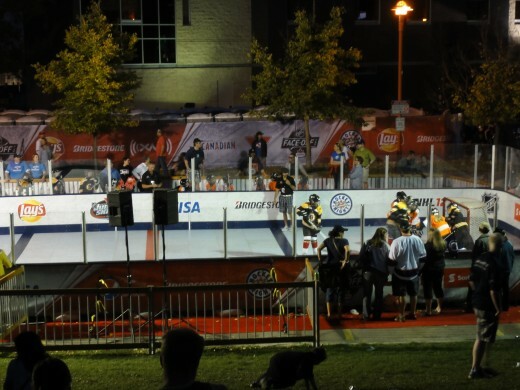 Lets add some variety here, the Plaza At The Forks is a world class skateboard park. 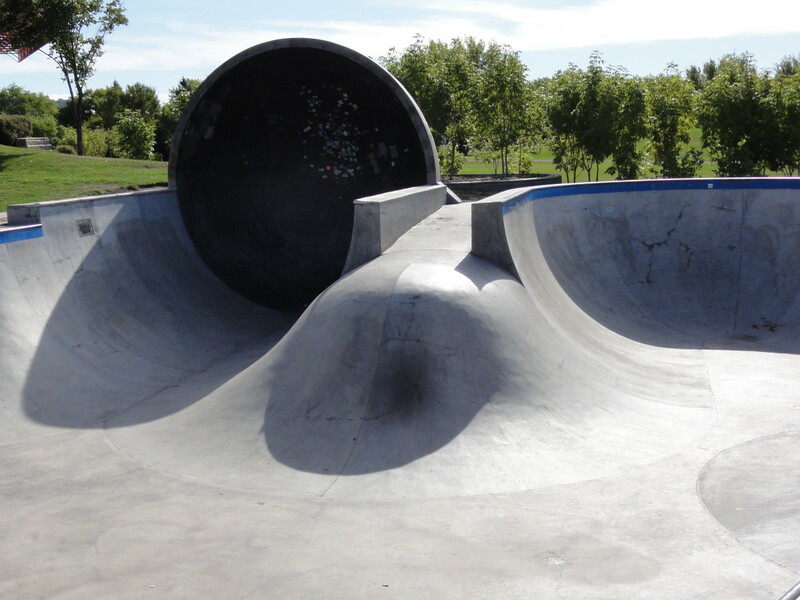 Some of the worlds most famous skate boarders have sought out this skate board park in Canada's largest and best urban skate plaza and bowl complex, right here at The Forks, the incredible Tony Hawk and Bam Margera to name a few. 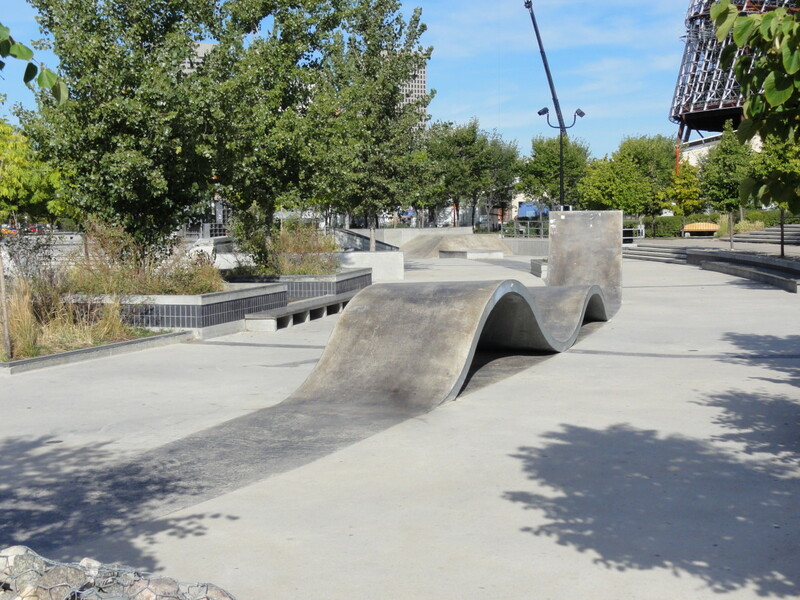 The urban landscape designed plaza has appeal for beginner, intermediate and professional skaters and also works for BMX bike enthusiasts. Total area of the plaza covers 44,000 sq feet, with the Central Plaza including various stairs, rails, banks and ledges taking up 30,000 sq feet. The other 14,000 sq feet are covered by the Bowl Complex, complete with it's 5 ft high walls and 17 ft high cradle. You can spend all day just watching the amazing dare devils who spin their magic within these walls. Its an incredible site to see live, and the crowds that gather and watch on any given weekend become active participants and can't help but cheer on the adrenaline seekers skating or riding inside the Bowl! The Johnston Terminal - At The Forks - Where Else! 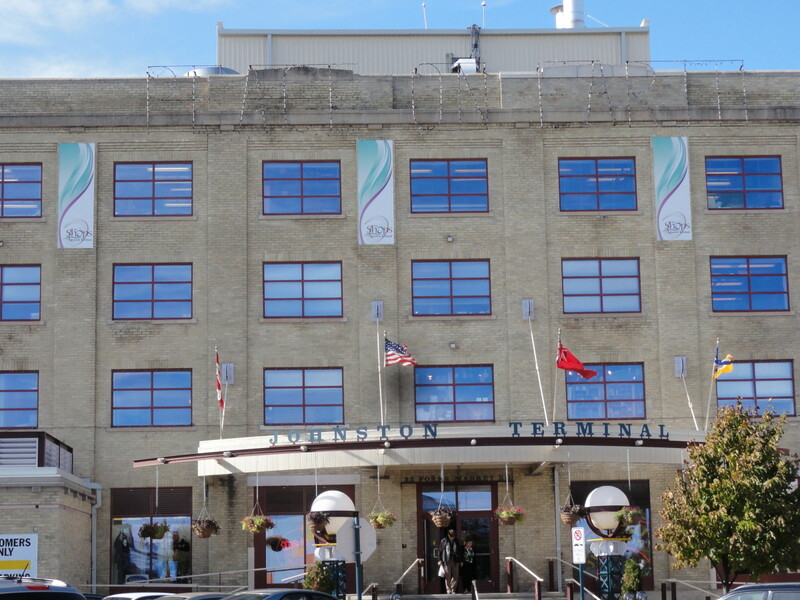 The Johnston Terminal is another converted buidling from the past. Once a cold storage railway house, it is now home to four stories of some very unique specialty boutiques including an art gallery where local artists can sell their best, and believe me the art in here is amazing. 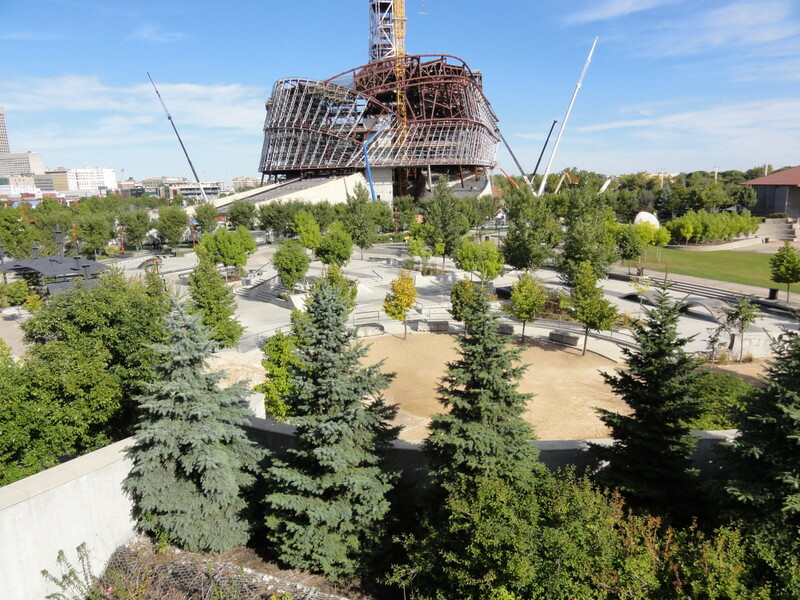 The Oodena Circle of Celebration is a natural amphitheatre situated near where the Red and Assiniboine rivers meet. 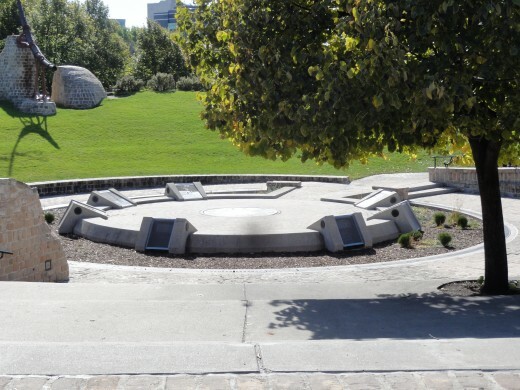 Paying tribute to the more than 6000 years of aboriginal peoples in the area, the Oodena Circle features a large sundial, a naked eye observatory, interpretive signage ceremonial firepit and also feature ethereal sculptures. This is another one of those places you have to see to believe. If your fortunate enough, you can take in the aboriginal cerimonial dances, an beautiful site to behold where the participants are dressed in breath taking aboriginal garments - symbolic of their culture. It's also a great place to just relax and enjoy the view, sometimes that is enough. What would a major tourist attraction and local favourite watering hole be without a first class hotel onsite. 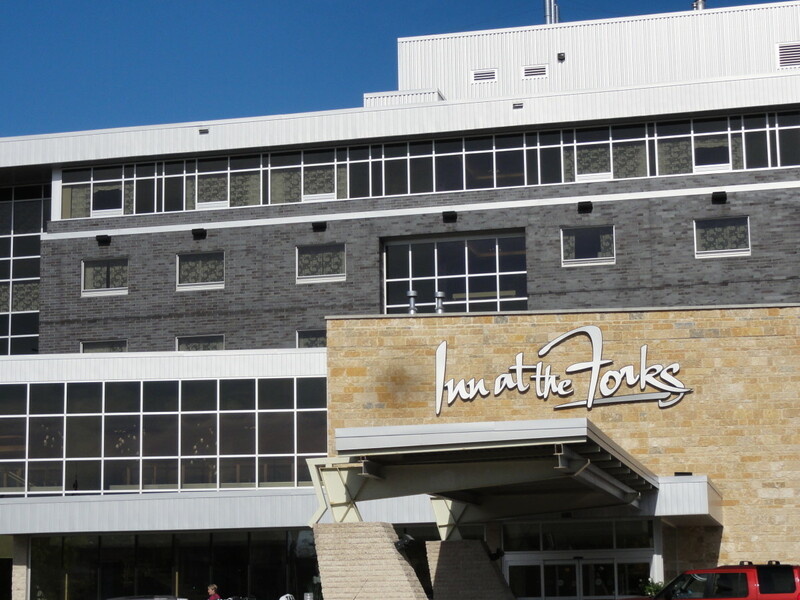 The Inn At The Forks fits the bill just perfectly. With its 116 rooms, many equiped with spa body and rain showers, fireplaces and contoured soaker tubs, this hotel specializes in it's warm hospitality and spectacular amenities. The Inn At The Forks serves it's guests first class hospitality one has come to expect from The Forks and its merchants. The hotel also features reception and meeting space for up to 200 guests, fitness facilities and the incredible Riverstone Spa - complete with a variety of luxury treatments. And of course there is place to dine in style, The Current Restaurant and Lounge provides guests and visitors with the best in dining experience and there is something on the menu for everyone in your family. 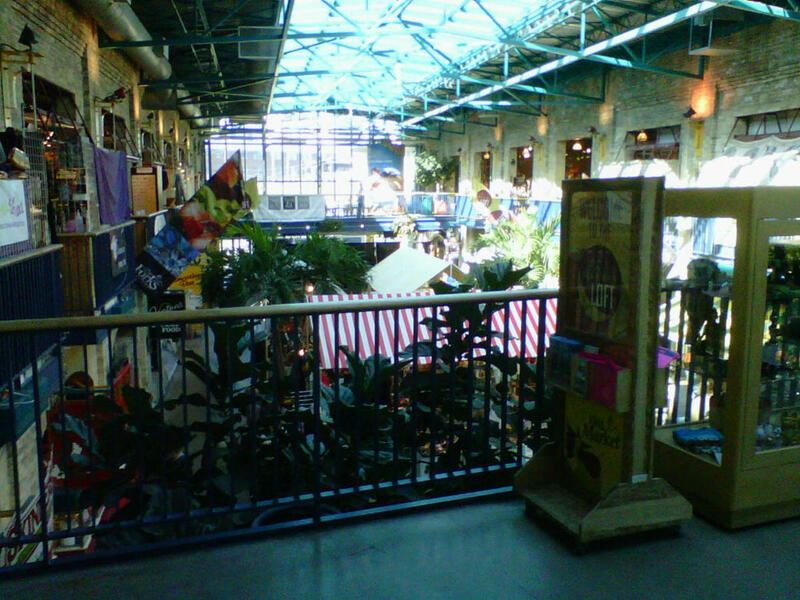 The Forks in Winnipeg has another great outdoor meeting place called The Forks Market Plaza. 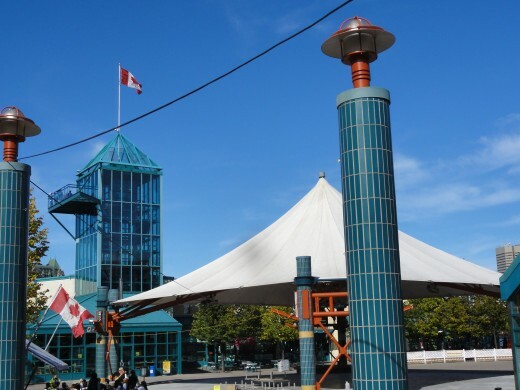 This plaza lays under a canopy equiped with outdoor mood lighting and hosts a circular pad used for ice skating in the winter months and outdoor entertainment in the summer. 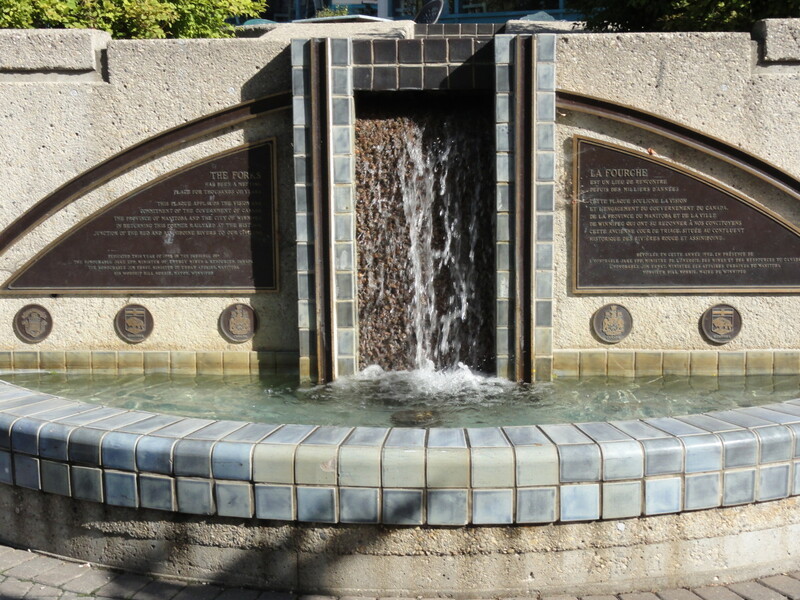 The Forks Market Plaza also features fountains, beautiful outdoor patios, and several open performance spaces. In the summer, dance performances are the norm as well as vaudeville style entertainment. Even in the cold winter months, you'll find this plaza full of familys lacing up their skates. When they're done, they can enjoy a cup of hot chocolate from any one of many vendors in the Forks Market. 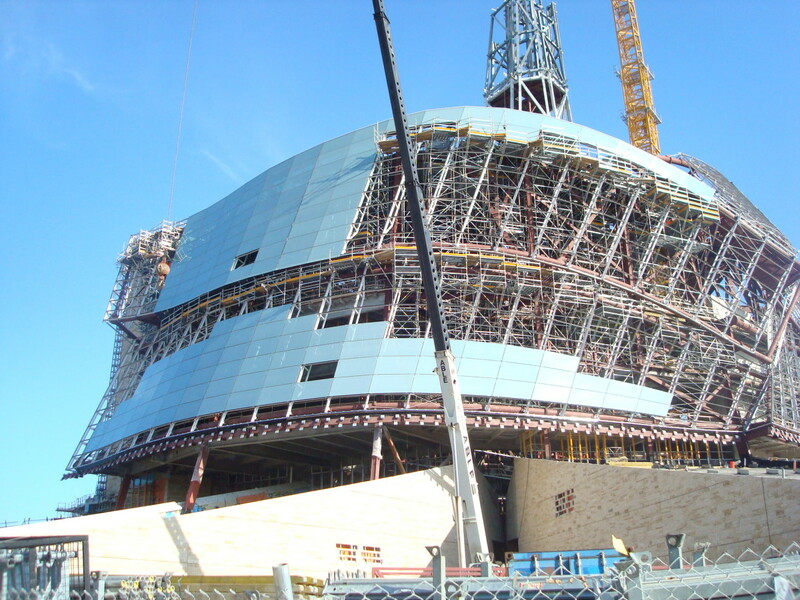 What better way to complete your visit to The Forks, The Canadian Museum For Human Rights is currently under construction, but stands to be the largest museum of its kind anywhere in the world. This museum will serve as an educational journey for those who pass through its doors. Visitors will pass through many stories of human suffering, crossing bridges along the way, ever climbing higher toward enlightenment and finally culminating towards the pinacle known as the Peace Tower. 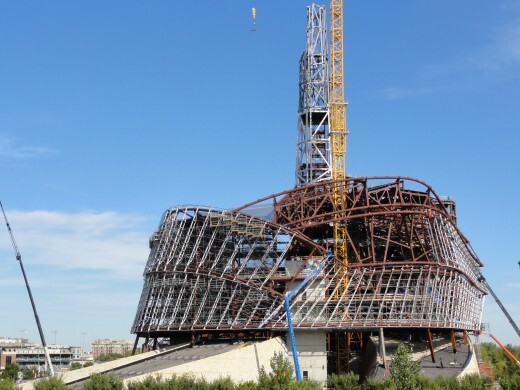 This magnificent structure will stand 328 ft tall when completed in 2012 and will be a major tourist attraction for visitors from all corners of the globe. Those who complete the journey to the top will have an incredible view of the surrounding area from the Peace Tower, which will also serve as time to reflect on the incredible gift of Freedom we take for granted far too often. The Canadian Museum For Human Rights is a monumental and inspiring project. The museum will be dedicated to educate visitors on human rights issues around the world. The Forks in Winnipeg is a must see for both the locals, and tourists from anywhere in the world. 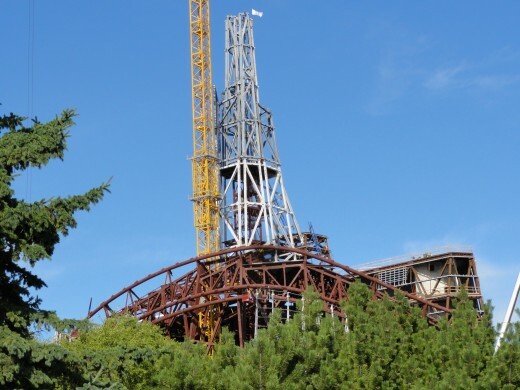 And would you believe there are many more attractions waiting for you at the Forks? This is a first class family adventure, with something for everyone. 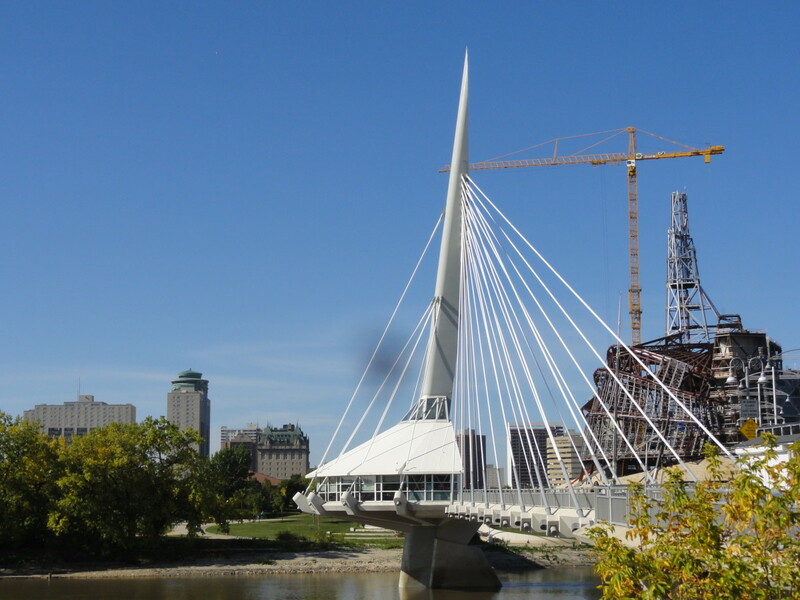 From shopping and dining to a variety of entertainment, the Forks in Winnipeg has it all! Thank you both for the great comments, and thanks for reading my hub, be sure to stop by Canada too! Hi carcro, this looks like a very beautiful city and if i am ever lucky to visit USA then i would surely love to visit this city. 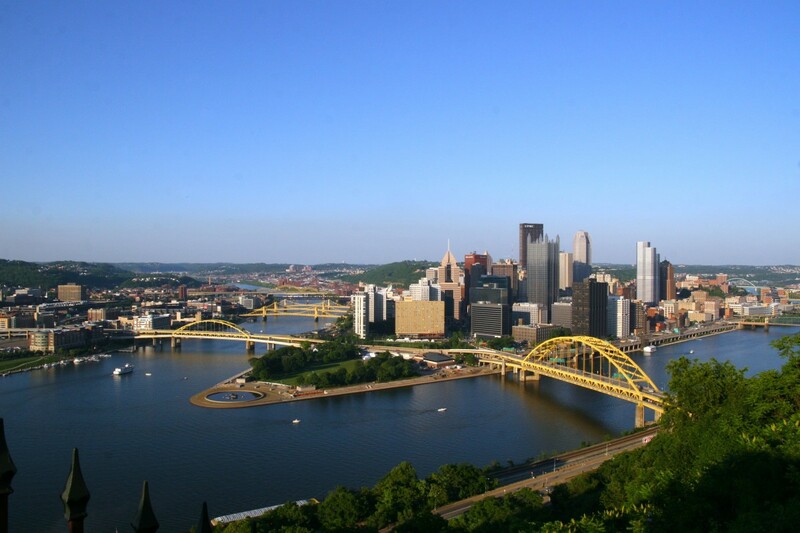 Looks like a beautiful city to visit and walk around. I think your comments rank up there with the very best. Thanks you so much! I really do love The Forks in Winnipeg, as it was hundreds of years ago, it is till a great meeting place and now more than ever. Carcro: What an eloquent, insightful, succinct look at one of Winnipeg's most aeshetic and historic sections! 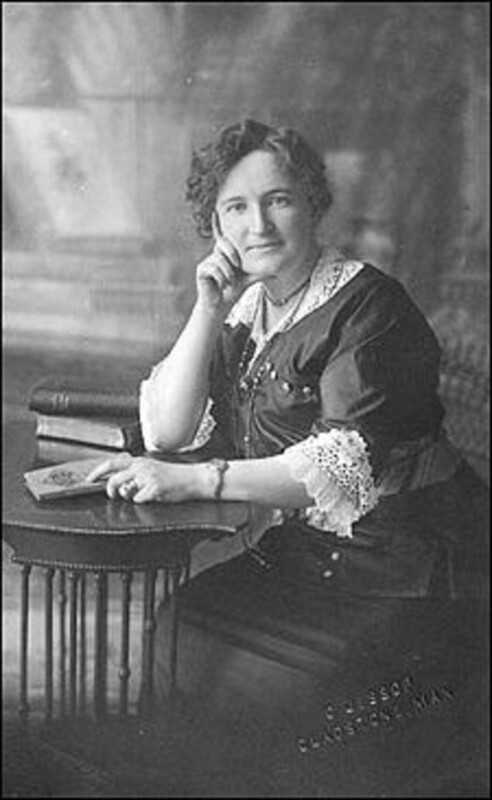 The flow between photos and words is a most effective light and silent film show. 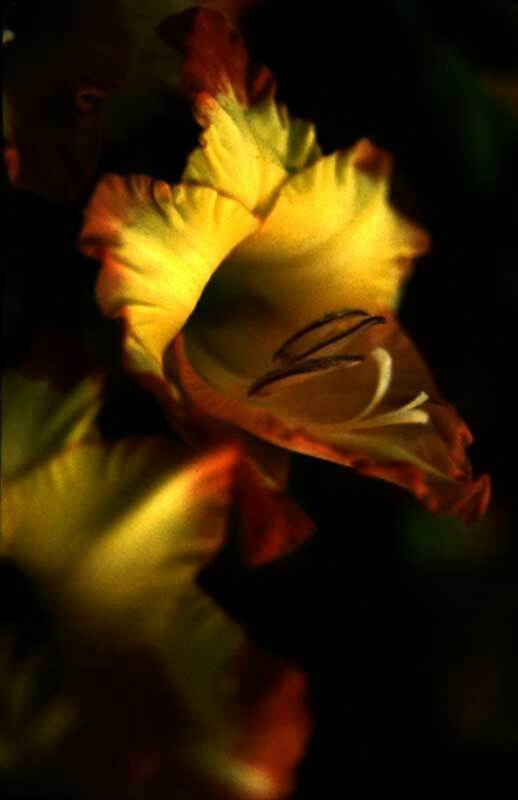 Thanks agvulpes for commenting. The Childrens Museum is a big hit with the kids for sure and the parents. I' sure you'd love it here! Wow a great Hub on a beautiful City. 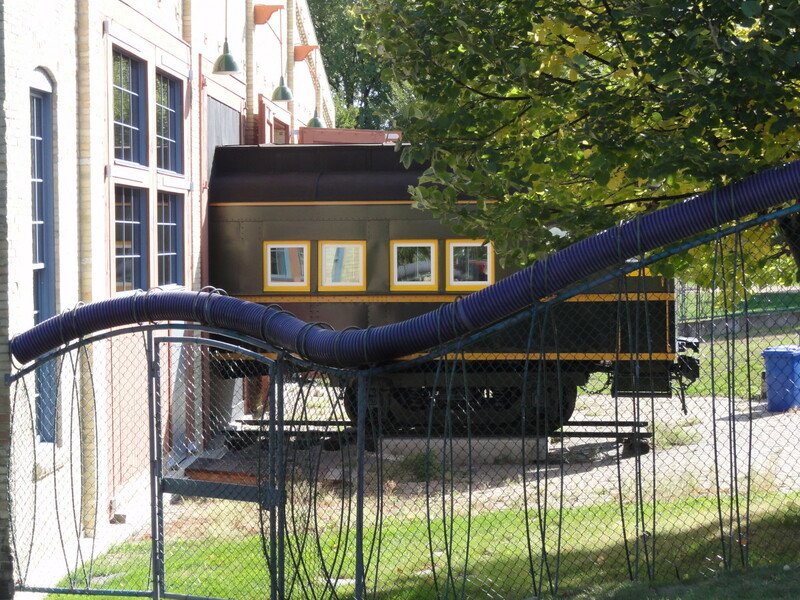 Love the train carriage sticking out of the Museum it must be a great conversation piece? Thanks again prasetio30! It makes me proud as a Winnipeger to share some of what our city has to offer. Again, I really appreciate your very kind comments, Cheers! This was so beautiful. Nice report from you and very well written. You open my eyes about something beautiful out there. I really entertained with all stunning pictures you send to us. You have done a great job. Rated up! Go Jet Go! Thanks Bill for reading and commenting! Thanks Peggy W for commenting and the Vote! It's a great place to be, I hope you do get to visit one day! The Forks looks like an amazing place to visit. Enjoyed your descriptions, the many photos and the videos. Maybe if I am lucky, I will get to see it in person someday. Thanks! Voted up, interesting and useful. HaHaHa, come on and be brave, you're actually missing my funniest hub, in a twisted way! Thanks for the great comments, I love my city and The Forks has to be my favourite place of all. I think you would enjoy it too! Thank you Movie Master for the kind comments! I love the Forks in Winnipeg, I could spend every day there just walking around and taking in the fresh air, let alone grabbing a java along the way. Fortunately for me I work just across the river, a short walk across the Riel Esplanade bridge...Have a Great Day! Hi carcro, I loved this virtual tour of Winniepeg, maybe the next time I am visiting my daughter (Cloverleaf) in Canada we might get there! Voting up a great hub and the photos were fabulous! Thanks a bunch healthywholefoods! I have been to the USA countless times, mostly the northern states North Dakota and Minnisota, but also California - just love vacationing down there. 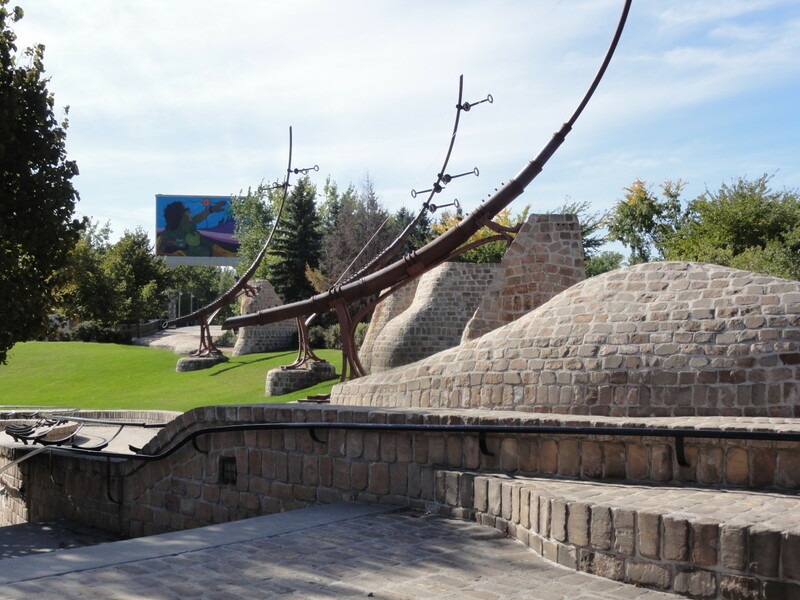 You'll also love the Forks in Winnipeg, and many other Winnipeg sites. If you love camping and fishing, Manitoba has endless adventures as well. Thanks again for commenting. I've been to Canada twice from the USA. Only for a brief stay each time. Would love to spend a week and see what all Canada has to offer. Some day!!! 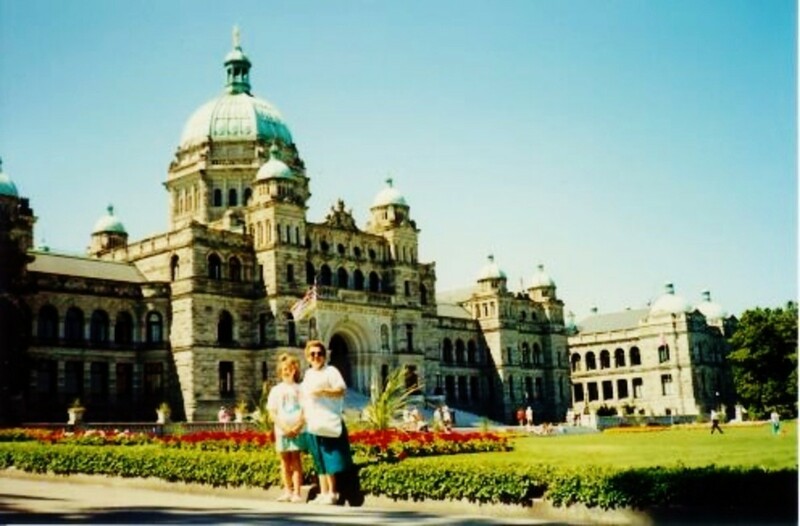 Thanks for sharing a little of Canada's attractions. The Forks in Winnipeg sounds like a fantastic place to visit. Keep sharing on Canada, I'd like to learn more. I'll check out some of you're other hubs. Thanks RTalloni, its a great place to be. 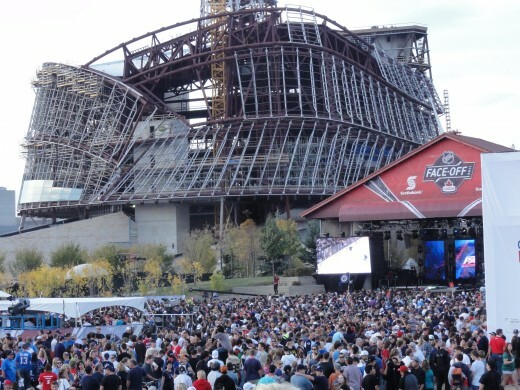 When I was there the other night for the Welcome Back Winnipeg Jets celebrations, it was unbelievable - so any people and everyone having a great time. 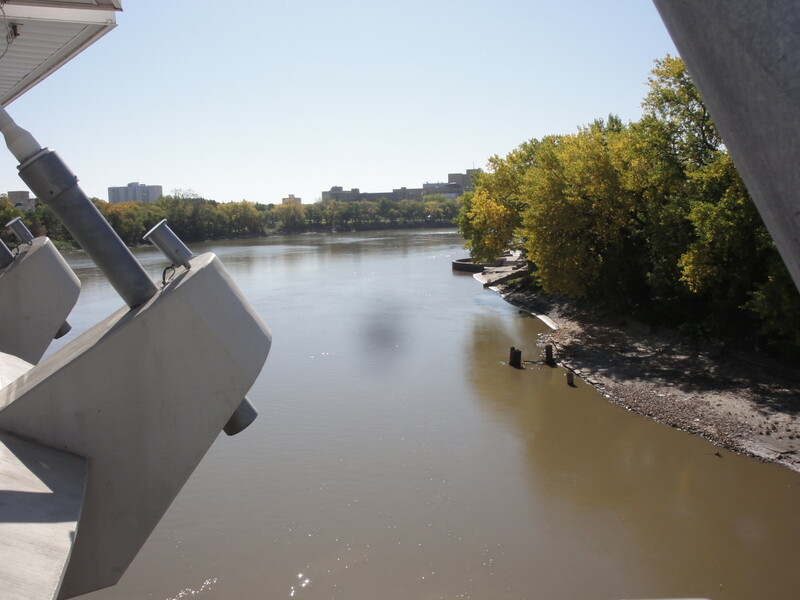 Splendid photos of The Forks. Sounds like the heart of WInnipeg does indeed have something for everyone. Fun videos, too. Thanks for sharing! Thanks for reading and commenting DevidRobert. The Forks in Winnipeg is an amazing gathering place, definitely the place to be. 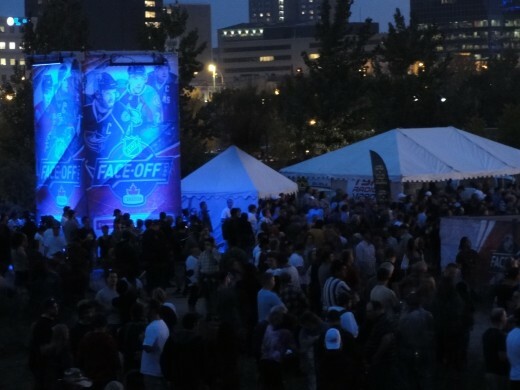 We had a big party for the return of the NHL and the Winnipeg Jets to Winnipeg last night at the Forks. Its just an incredible experience to be there anytime, making memories with family or friends, or just taking it all in by yourself. Amazing Post!It's pretty inspiring. I read every single piece of information you post here. Thanks for sharing this information.Want to read more updated information. Thanks Snurre for commenting on my Hub... Winnipeg has so much to offer for the locals and visitors alike! I'm sure you would especially love a day at the Forks. Sounds like an amazing place and a great day out. I've always wanted to visit Canada one day and Winnipeg is definitely on my list of places to visit. Great photos, too! Thanks Danette, you should come down here on Canada Day, July 1st, this place is packed with concerts, great food and shopping, skate board contests, and just plain old great freah air! There are literally tens of thousands of people having the best time! This sounds like a nice place to visit. How fun it would to see the skateboarders do their thing! Enjoyed reading your hub. Hi carco, I have never visited Winnepeg, but I think this would be a fun place to go! Thanks for our virtual tour around, I enjoyed it. Voting up...! Hi Carcro, a great hub on the Forks! 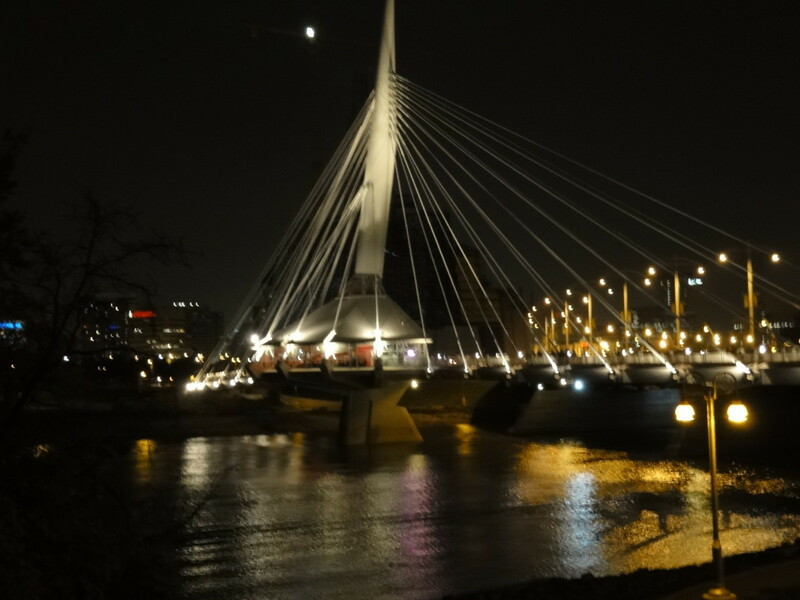 This is my city and the Forks is one of the prettiest places in Winnipeg. Great hub on Winnipeg.